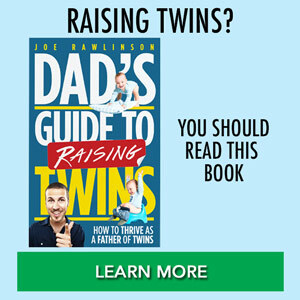 Once you move your twins from cribs to regular beds, a new challenge arises: How do you keep your twins in bed so they fall asleep? Our first two boys (both singletons) had a very smooth transition from crib to bed. They didn’t climb out of their cribs and once in a bed, each would patiently wait for a parent to come and get him up in the morning. It was as if they had an invisible fence around the bed. Our twin girls, however, had different plans. They found a way to climb out of their cribs and we had to scramble to transition them to big beds. Your children crave a predictable schedule and bedtime routine. When you have a regular bedtime routine, your kids know what to expect and it helps them naturally wind down and get ready for sleep. If every night is a random bedtime, schedule, and steps to get ready for bed, your kids won’t know which way is up. You’ll constantly be fighting them all the way to bed. 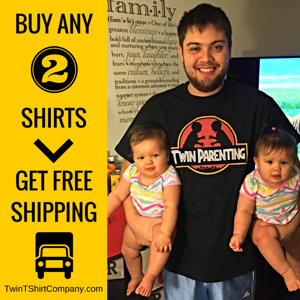 When your twins are escape artists, you might need some gear to help contain the madness and force them to stay in their room and calm down. One option is to put childproof handles on doors that make it impossible for them to open their bedroom door. Eventually they will give up trying to open the door. However, there will be lots of banging and screaming as they learn it just won’t work. You could also turn the locking mechanism inside out with the lock in the hallway. This would allow you to lock your kids in their room. Be careful with these “lock-in” methods as they could be abused by older siblings to trap a younger child. Many parents will leave their twins’ door open but put a child gate that prevents exit. I’ve also heard from parents that will put double decker gates in the doorway since one or more of their twins could climb over just one gate. 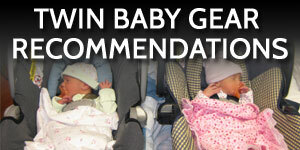 If you leave your twins to their own devices, they won’t fall into a great sleep schedule and routine. 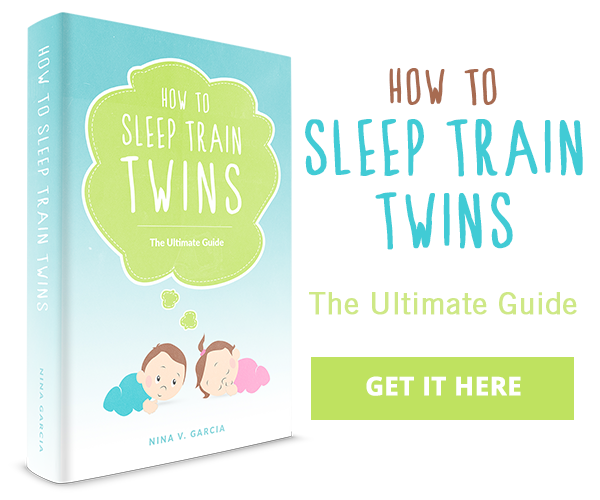 As a parent, you can sleep train your twins so they form great sleep habits. The process of sleep training takes patience, consistency, and time but the benefits are well worth the effort. When your twins are constantly bouncing out of bed and their room at night, you need to teach them what is proper behavior and help them self-soothe and fall asleep by themselves. This may require that you sit with them or right outside the room. We found that this calmed our girls down as our presence was reassuring to them and we could immediately tell them to be quiet, be still, or lay on their pillows. We gradually phased this out each night as we slowly sat closer and closer to the door and eventually didn’t need to stay with them anymore. Set limits of when you will or won’t enter their room. It is an amount of time between visits? Is it the intensity of the cries? 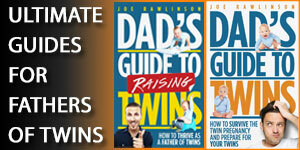 You know your kids but you need to set some limits and not rush to the rescue too quickly. Get rid of distractions like toys that would help you kids stay awake. Bedtime is for sleeping, not playing so make the environment conducive to that. 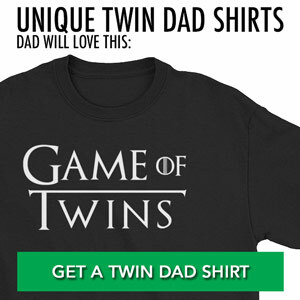 If one twin is a distraction to the other, consider separating them to fall asleep. Then, once they are asleep, transfer them to their own beds. 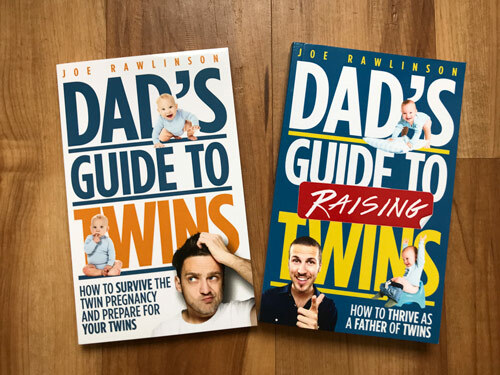 Have consequences if your twins don’t calm down. Perhaps they lose the company of a stuffed animal or the privilege of an activity the next day. Stick to your promises and follow through! 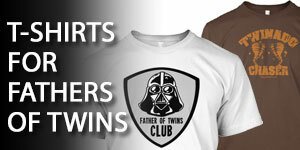 Your twins will push your limits. 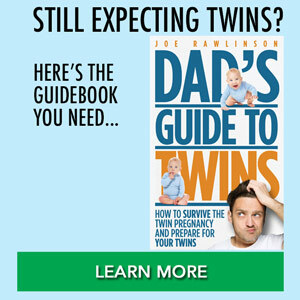 Set expectations during the day with your twins. This allows you to have a more rational conversation with them. During the day, they won’t be as tired and emotional about the discussion as they are at night. Watch naps and adjust if necessary. If you’re fighting to get your twins to sleep for naps and for bedtime, you might need to adjust the length and frequency of naps. Don’t cut naps out too early as a good nap schedule actually helps kids sleep better at night. Our kids go to sleep quickly if they have done lots of physical activity during the day. You’ve likely seen the same. Use this to your advantage and let your kids play and have fun knowing that they will be more tired and willing to sleep later. 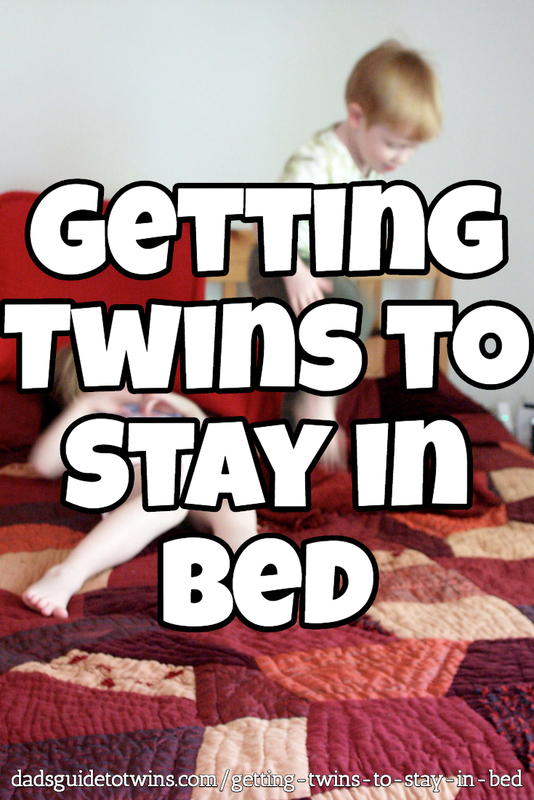 No matter the tactics you try, you will need to stay patient and consistent with helping your twins stay in bed. It might take days, weeks, or even months to get the great sleep schedule you want. But it is possible! Hang in there. Need more help? Here are some more tips on getting your toddlers to bed.